Going to the Coke Zero 400 at Daytona International Speedway July 3? Make sure you come by the Kingsford site for some cooking demos with the Swamp Boys! Friday afternoon you’ll learn some pointers that you can use at home on how we prepare our World Championship BBQ Pork. After the demo we’ll be handing out some pulled pork sliders for you to sample. We’ll do it all again Saturday morning, then Saturday afternoon come watch as Marcos Ambrose joins us to share some of his grilling secrets. 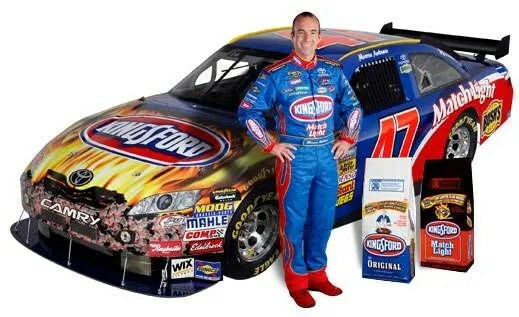 The #47 Kingsford car will be there, and there will be lots to see and do. Make plans to stop by and say hi! We got a nice mention from Diva Q on her fantastic blog. If you’ve never checked it out, you really should. She covers everything BBQ!